Take the right-hand exit signed 'Clifton Gardens'. 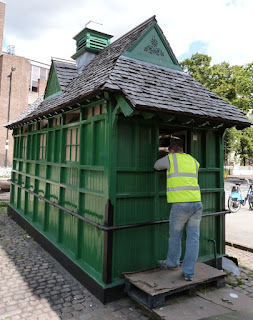 Once in Warwick Avenue look out for the cabmen's shelter to the right. A few minutes walk down the left hand (northeast) side of the avenue will bring you to Blomfield Road. 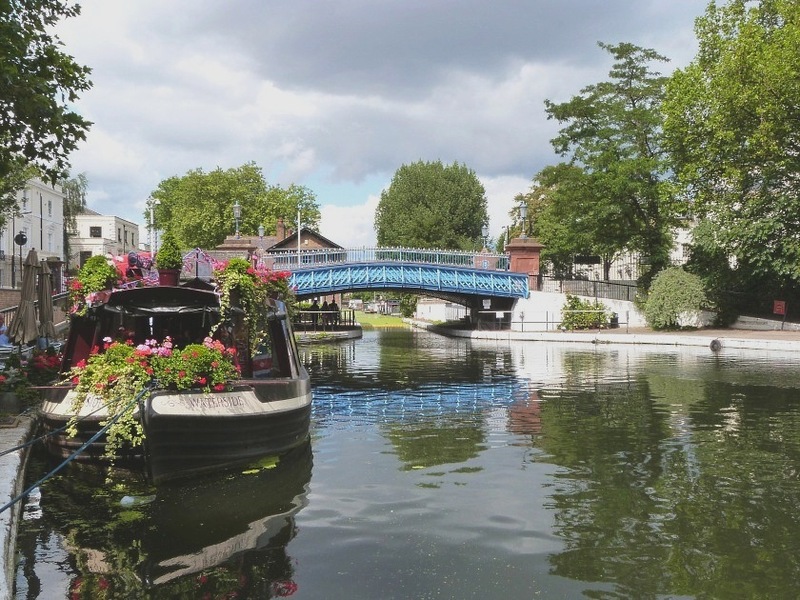 Go over this to get to the Regent's Canal. 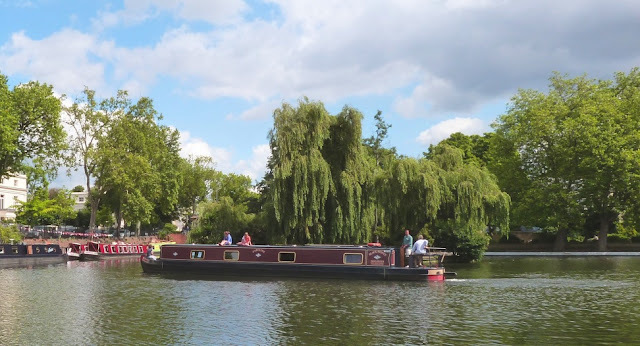 (See link below for any possible tow-path closures.) A little way on the left, past Junction House (once a toll collection point), is a small iron gate and steps down to the tow path. Pass under the bridge to get to the triangular basin that marks the centre of Little Venice - lots of narrow boats and barges, including a cafe. 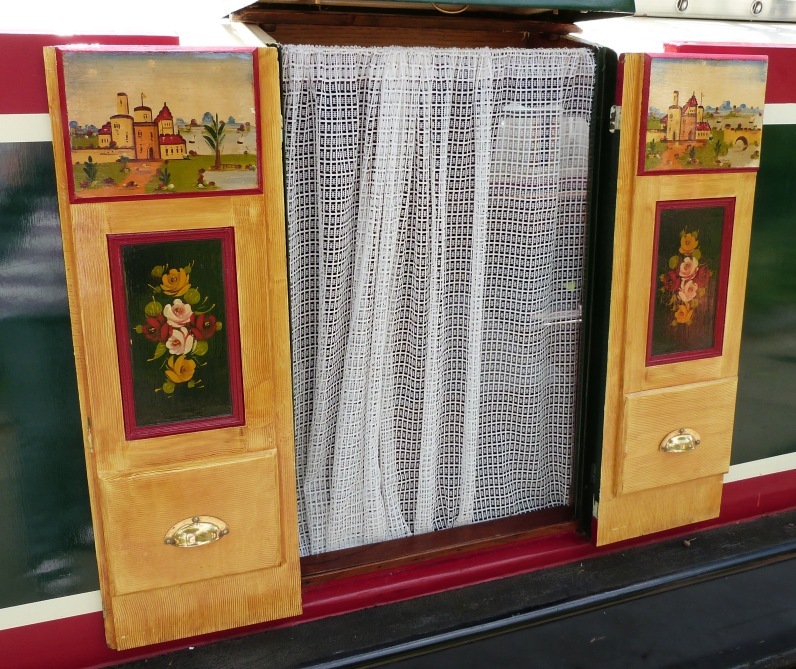 A colourful puppet theatre barge also has its home here, but is not always around, as it has a touring schedule. When you reach the graceful Westbourne Terrace Road bridge, cross to the left and go left again down to the waterside to explore the other side of the basin. Follow the canal as it bends to the right. 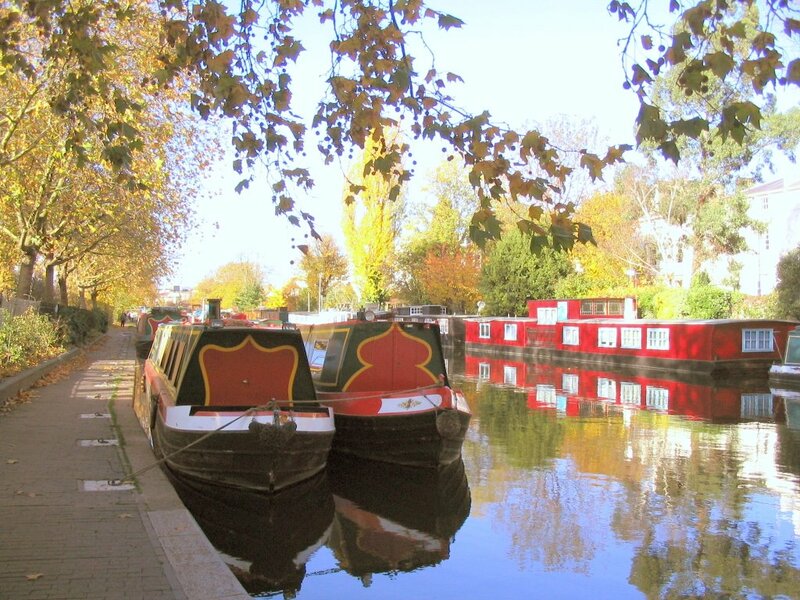 This is Stone Wharf on the Paddington Arm of the Grand Union Canal. The eastern side has been completely redeveloped (useful cafes), but some picturesque timber warehouses remain on the opposite bank. Return to Little Venice. 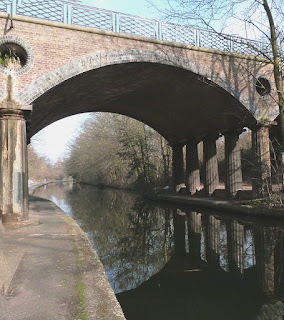 Once back at the Westbourne Terrace Road bridge, cross Westbourne Terrace Road to Delamere Terrace for another entrance to the canal. Descending the steps, make your way by a series of houseboats, each with their own character and decoration. 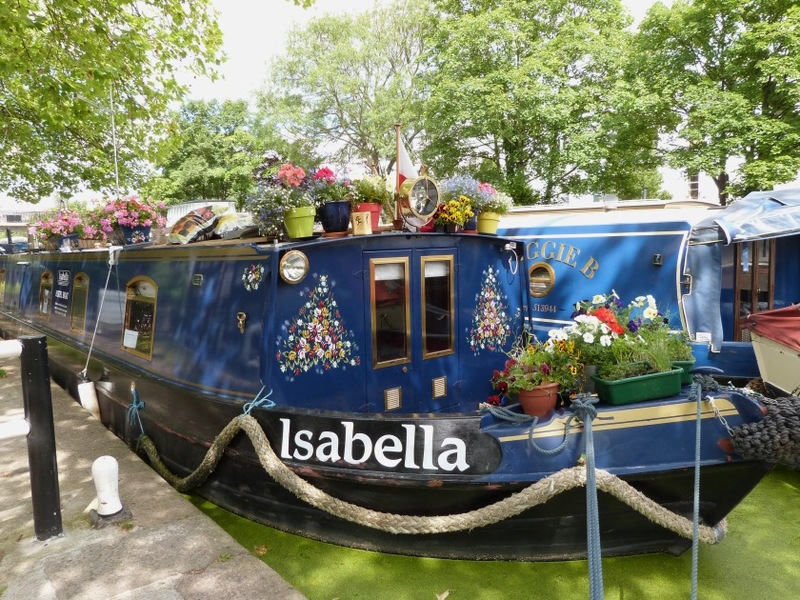 At the sign 'Welcome to Little Venice', pop into Delamere Terrace via some iron gates and negotiate the bridge (mostly a winding slope). Walk to the right along Blomfield Road until Clifton Villas. Turn in here. Hidden away behind the houses (a discreet arcaded entrance) is something unexpected, Clifton Nurseries. This is a rather special enterprise, as it has been supplying plants to a discerning public since 1851. Worth a visit, as it is so beautifully laid out. Look towards the end of the road to see the striking St. Saviour Church (1976). From here either continue to the end of the road for the Tube, or, if you wish to do some more walking, go back to Blomfield Road. 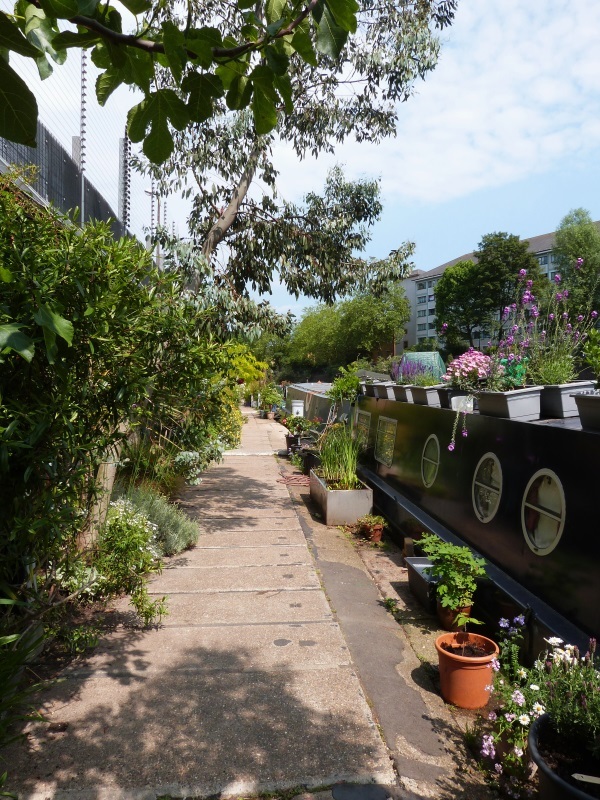 From here it is just over two miles to Camden Lock - a lovely route which finishes at the famous markets so popular with teenagers. Before embarking on this trek you might like to pop into the Warwick Castle pub in Warwick Place - very pretty in summer with a fine display of hanging baskets. Return to the Warwick Avenue bridge via Blomfield Road. Cross over and go past the steps originally used to get to the canal. The public tow path going northeast ends here, but you can continue parallel to the water and enjoy the little gardens opposite each houseboat. Soon comes the Maida Hill tunnel (251 metres in length) with a cafe perched on top. Cross Edgware Road to Aberdeen Place, straight ahead. At No. 32 is a blue plaque for Guy Gibson, leader of the Dam Busters' Raid, who lived here from time to time during his short life. At the end of the road cross over towards an alleyway with a Jubilee Greenway plaque in the pavement. Go carefully down the iron steps. 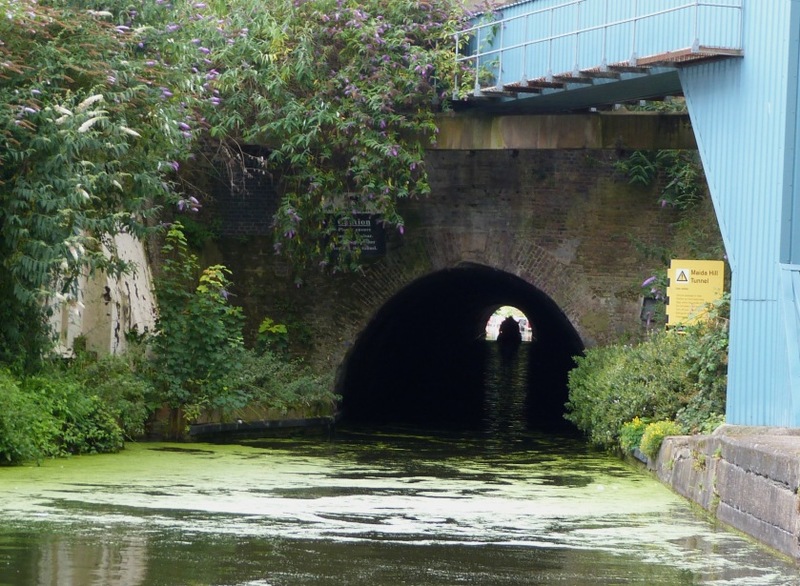 You are now at the other end of the Maida Hill tunnel and may see a waterbus chugging along - the passengers looking slightly apprehensive or relieved according to whether they are approaching the darkness or have just emerged. The ugly casing on the right houses electricity cables. This, combined with the high embankment walls on the left gives the area a slightly uneasy atmosphere. Continue along the tow path and under much shorter Lisson Grove Tunnel (splendid echo). The scene changes as the canal becomes almost like a film set, with magnificent houses on the opposite bank, their manicured grounds running right down to the water's edge. 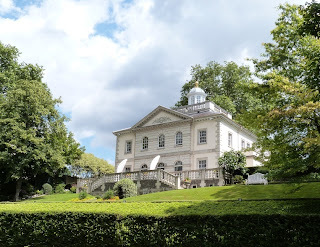 On the other side they face Regent's Park itself - you may be taken aback by the fact that in spite of their appearance they were built in the late twentieth century. (Quinlan Terry). 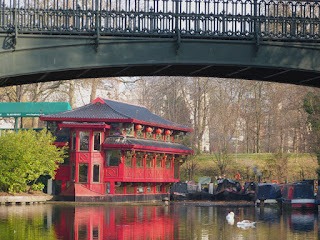 Now there is an amazingly tranquil green stretch of the canal, but the majestic bridge ahead is not all that it seems. This is Macclesfield Bridge, often referred to as 'Blow-Up Bridge'. As its nickname suggests, it was the scene of a disaster. In 1874 a gunpowder barge blew up sending the bridge in all directions. 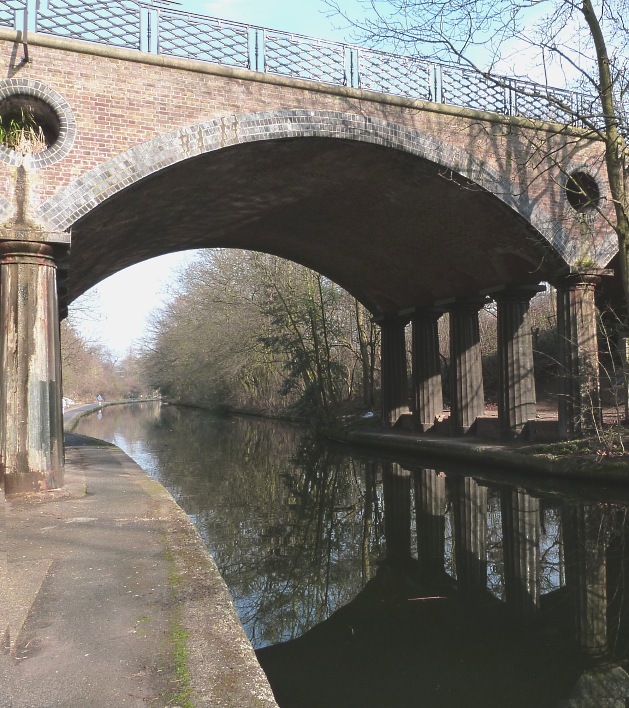 The canal was closed for three days - the equivalent of closing down a modern major commercial road. Such was the hurry to get the bridge rebuilt that the indestructible cast iron columns, clearly marked 'Coalbrookdale' at the top, were put back the wrong way round, so that tow rope marks are visible on both sides of one of the columns. 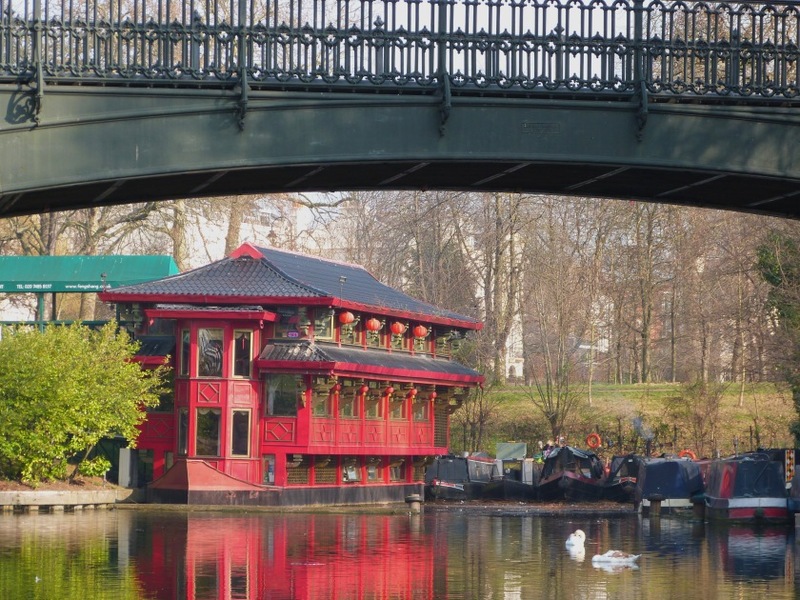 After admiring the birds in the aviary, which include Sacred Ibis and Little Egrets, continue to Cumberland Basin to discover another another oddity - a floating pagoda restaurant, the Feng Shang Princess. The towpath bends to the left here and you will now see some more large houses. Compared to the previous mansions they seem quite homely - it seems as if human beings might actually live here and enjoy pottering about on the canal from higgledepiggledy gardens. Look out for a cast iron plaque on the wall explaining that the ramp up to the towpath where you are standing was used to rescue horses that sometimes fell into the canal when startled by trains on the nearby railway bridge. 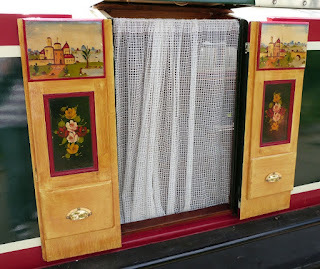 If they were injured they could be taken to the horse hospital at Camden Lock. 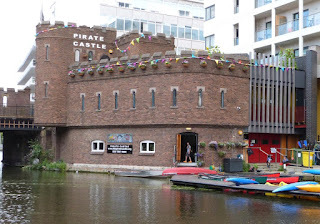 Just before the markets area you will see Pirates' Castle on the other side of the canal. This is a youth club from which children can take out canoes and generally have a lot of fun. Opposite is the slope that leads directly into the markets with an amazing variety of clothes, jewellery etc, plus delicious ethnic street food. When you have finished exploring the souk-like maze, make your way to Camden High Street and turn right to get to Camden Town Tube station. *Sections of this much-used towpath are sometimes closed for repair. 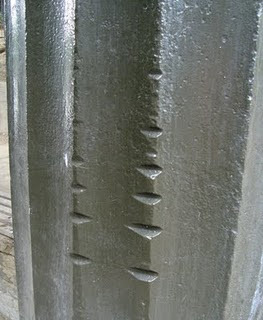 Details can be found on the Canal River Trust website. Local people are helpful in giving directions to the nearest access point if it is not obvious. Access: This walk is not suitable for wheelchair users or those with walking difficulties. www.londontuberambles.co.uk This is just one route from the many to be found at London Tube Rambles. There are architectural gems, beautiful country views, historic places and quirky buildings to be found in the area covered by the outer London Underground stations. 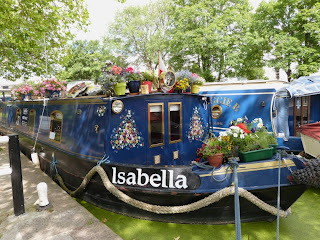 Usually the discoveries are within a mile of the Tube - often only five minutes walk away. If you reached this as an individual page via a search engine, you might like to click on the above link and see the other destinations explored. It's amazing what's out there!